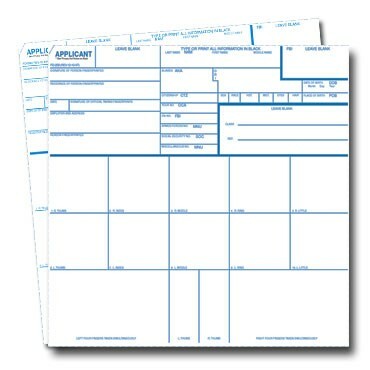 You may request blank cards or re-prints if your fingerprints are already on file with us. For re-prints, please allow 1-2 business days to process your request. For customers purchasing NFA items, simply email us and we will mail you what you need free of charge.